In this study, the authors contend that in our globalized world the stability of any individual state (irrespective of its size and importance) plays a critical role in the stability of the entire international system. There are multiple ways to achieve state stability, whether through western-style democracies or through other forms of good and effective governance that are in keeping with local cultures and histories. Regardless of whichever system is used, it is critical that there are certain minimal criteria of governance that are adhered to and must include human dignity, equality, and prosperity. This book contributes a timely analysis of ways to achieve and the methods required to maintain global stability and provides a valuable tool to anyone who is interested in true and lasting transnational security. 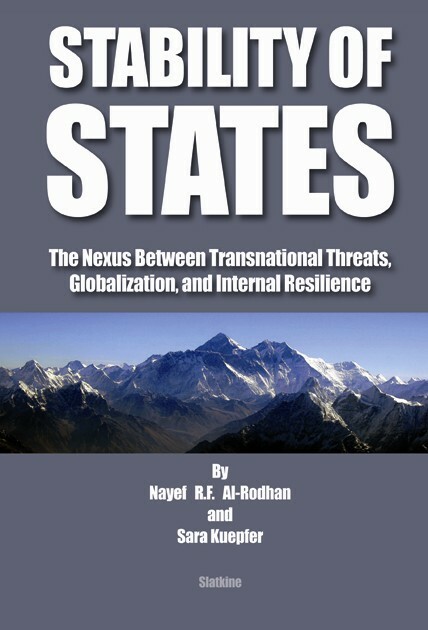 "This survey of state instability accomplishes three interlinked tasks: it identifies how and why states fail; critically assesses the nature of the relationship between weak and failed states and transnational sources of insecurity; and analyzes more fully the impact of globalization upon this nexus. This book constitutes a powerful tool for policy makers, practitioners, and analysts. It not only allows them to more effectively determine which policy responses might best address this phenomenon, but also to create an appropriate set of metrics that can then gauge the viability of such responses through time."